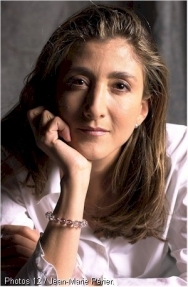 On July 2, 2008, Ingrid Betancourt, a Colombian and French politican who ran for President in Colombia in 2002, was rescued by Colombian security forces along with 3 Americans and 11 Colombian policemen and soldiers. About 6 years ago, Betancourt was kidnapped by members of FARC while campaigning in the demilitarized zone of San Vicente del Caguan where there was heavy infighting amongst civilians and FARC guerillas. FARC, the Revolutionary Armed Forces of Colombia or in Spanish translates to Fuerzas Armadas Revolucionarias de Colombia, was established in the 1960’s as a guerilla organizaiton founded on Marxist and Leninist ideologies as the military wing of the Colombian Communist Party. While its initial role was that of a guerilla organization – the use of unconventional mobile tactics such as ambushes and raids against a larger, less mobile formal army – it tapped the cocaine drug trade in the 1980’s to provide needed cash inflows. FARC is considered to be the largest guerilla group in the Americas. Their hiding place is in the southeastern jungles and in the flat lands abutting the Andean Mountains. The reason I bring up Betancourt is because her situation reminds me of the time I was living and working in Bogota in the late 1980’s. I lived in Bogota in 1988-89 when the guerillas shared turf with the drug cartel and the Colombian government. My experience with FARC was mainly at a distance. You were reminded to take different routes to work each morning and to travel in groups. But, one afternoon, glancing out my hotel room window down to the road in front, I witnessed a perfect ambush of a government official. The main limo transporting the official was 3rd and last in line behind 2 limos occupied by support personnel (so I’m guessing). Suddenly adn quickly, a car emerged from a road on the right, blitzed through the traffic light and crashed between the 2nd and 3rd limo thereby separating the 3rd car, with the official, from his support crew. A support car for the guerillas followed in back of the 3rd car and trapped the officials inside – just like Sonny Corleone in The Godfather. They took the official out of the car, placed him in the car and sped off. The interesting followup is that no media outlets carried the story, not newspapers, radio or TV. I guess I understand it, in part. Government officials could not look as if they were losing the battle against either the guerillas or the drug cartel and they sure didn’t need mass panic to set in. Unrest could have ensued as well as an economic collapse. I was in Bogota to set up an oil business for a Boston capitalist that knew the father of George H. W. Bush at Zapata Oil. Ed was am unhappy sort, a bit greedy and wanted an overnight method of making more millions so he decided to invest in oil drilling in Bogota. It was costly to drill for oil but if you had a good geologist then risks of spending $1 million per drilled hole were mitigated. Ed was a bit rough around the edges and forceful in his demeanor. He didn’t like to be told what to do either by his family, friends or business acquantances. So, you can imagine his dismay when he found out that he had to negotiate specific terms with the Colombian government instead of just paying them a stiff fee to go in an plunder to his heart’s delight. He had to agree to drilling rights; he had to cede environmental and infrastructure concessions (roads, highways, etc.) to the government and had to employ only native Colombians on his oil rigs. Ed would fly into Bogota on his private plane to visit the company during a time when it was common for FARC guerillas to kidnap Americans. Arriving as publicly as he did would only tip them off to other Americans in Bogota doing his bidding. The guerillas needed money to support their efforts and the quickest way to obtain it, other than selling cocaine I suppose, was to hold Americans for ransom and demand millions of dollars from the corporations or interests they represented. So, here I was in the beautiful country of Colombia with no real rules – speaking Spanish helped but it would only make it easier to get along with the guerillas – backed by a man in Boston who didn’t care that much about anything other than money. Seeing him fly in and out of Bogota in his own private jet, getting excited only by the whiff of money, and holding the Colombian government in contempt for making demands on him for drilling in their country made me wonder if he would ever pay a ransom on my behalf if I were kidnapped by the guerillas. My quick answer was “no!”. And even if he did pay the ransom, FARC would have wanted more. FARC does not let go of bargaining chips that easily and Ingrid Betancourt was and is testament to that.